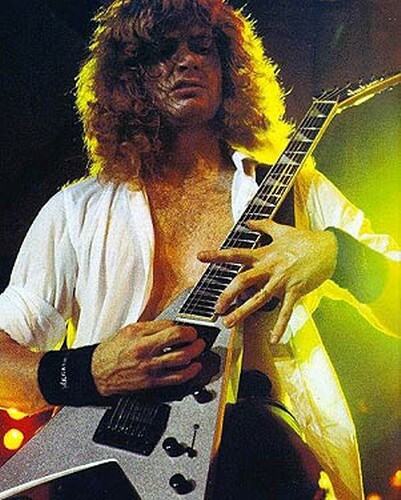 This guitar is known as Dave's main axe. It was originally black with a Megadeth logo and refinished in the early 90s with a silver metal flake paint. It was mainly used in the studio and seen quite rarely on stage. DM010 is still with Dave although it has been offered for sale two times. 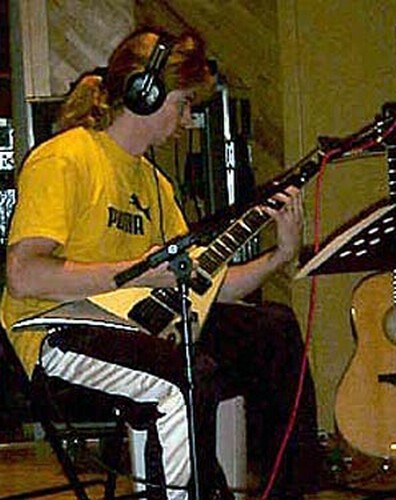 Once during the infamous Ebay auctions (although it was withdrawn then) and currently through Megadeth's official website. 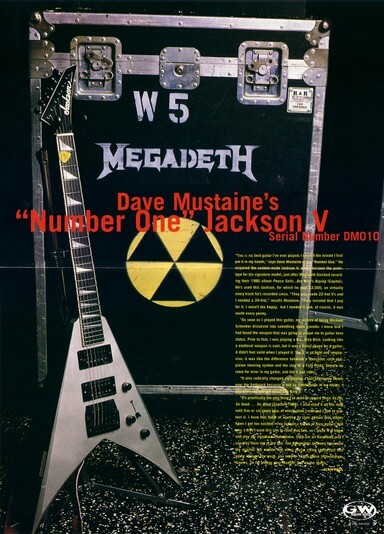 Guitar World had a poster feature of this guitar and you can find a scan of it HERE.